Need to update the look, control, or energy efficiency of your home lighting, but don’t know where to start? Check out these bright ideas for home lighting makeovers – you’ll be on the road to fresh, new lighting in no time. Bright Idea #1: Motion sensors that save on lighting energy costs. It’s obvious that turning out the lights when leaving a room is one of the most basic ways to save energy and money, but what happens when you forget? For those of us who are a little absentminded in the switching-off-the-lights department, the Lutron ®Maestro Occupancy sensing switch combines a Maestro® switch with a passive infrared occupancy or vacancy sensor. The sensor detects the heat from occupants moving within an area to determine whether the space is occupied. Based on the feedback from the sensor, the occupancy sensing switch will adjust the load accordingly. 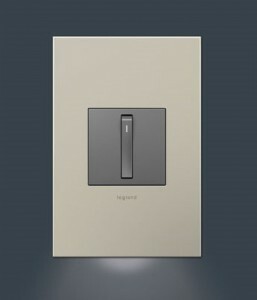 Bright Idea #2: Light switches that you don’t have to search for in the dark. Your days – or rather, nights – of groping through the dark to find light switches are over. This Accent Nightlight is a stunning addition to any adorne® product. 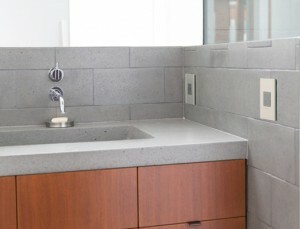 It provides a wash of light below the wall plate, acting as a nightlight or as an accent light. 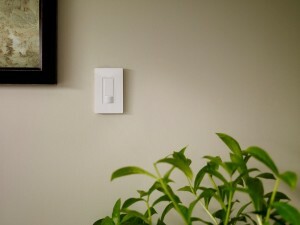 Bright Idea #3: Wall plates with a Modern Twist. Whoever said that light switches don’t deserve to be beautifully framed? There’s no doubt that stainless steel is the hottest finish for home appliances, so why not have light switch wall plates to match? With sleek lines and a gorgeous low-profile design, controlling the lighting in your home has never been easier thanks to the extensive selection of dimming solutions at Legrand®. Along with providing all the control you crave, these dimmers offer smart, durable designs, trouble-free installation and innovative technologies that address the growing need to reduce electrical power consumption where we live, work and play. Bright Idea #4: A timer that lights your way into the house. If coming home to a dark house leaves you feeling less than secure, think about taking your interior lighting to the next level by installing a programmable indoor timer, which can be easily set to switch on lights, so that they’re ready and waiting when you need them to be. 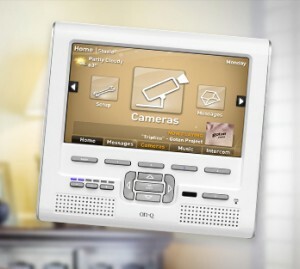 The Unity Home System, from Legrand® is your home technology command center. Camera and intercom systems ensure you’re never too far from your child’s bedroom or the front door. Turn on the lights or play music in any, or every, room of your home. Not only are indoor timers ideal for people who want to see where they’re going when they come home in the dark, they’re also great at providing illumination for home-alone pets, when no one is there to turn the lights on for them. If you make a habit of leaving lights on all day in anticipation of returning home after dark, save energy and money by keeping lamps turned off during daylight hours, instead setting a timer to switch them on just before you’re due to arrive. Bright Idea #5: LED track light bulbs that run cool and save you money. If your home has a track lighting system, switch out those hot-running halogens for some of the most energy-efficient light bulbs on the market: light emitting diodes, or LEDs. Not only is their average lifespan up to 30 times greater than that of a halogen bulb, LEDs also use up to 80% less energy, and produce a virtually imperceptible level of heat. Because they run cool and don’t increase ambient temperature in the rooms they’re used in, LEDs are much safer to handle, and can actually help to reduce your cooling costs. 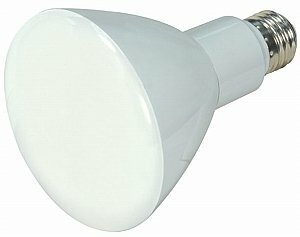 Our Ultra Series LED Light Bulbs cast intense, warm white beams of light, and otherwise look just like a traditional lighting bulb – only you will know how much energy and money you’re saving. 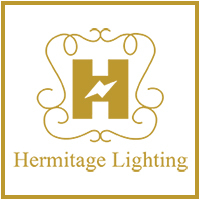 These are just a few energy saving tips from Hermitage Lighting Gallery. All the items pictured can be purchased at Hermitage Lighting Gallery, in Nashville. Let us know if you have some more energy saving tips!